Sitka's harbors are calling you. The City and Borough of Sitka Harbor Department operates and maintains 5 boat harbors to include Crescent Harbor, Sealing Cove Harbor, ANB Harbor, Thomsen Harbor and Eliason Harbor. The city has a tidal grid available, a gear work float and a drive down load/unload zone. Sitka also has a moorage area at the Port Facility (City Wall) that can handle up to a 300’ vessel, there is also a hoist with a maximum limit of 1,500 lbs. Sitka moors a large fleet of commercial fishing vessels, recreation and charter vessels. During the summer we also see large yachts, from all over the world, visit our harbors. All the Sitka harbors are within walking distance to grocery stores, marine supply stores, restaurants and downtown. The harbor department also have restrooms at all harbors as well as shower facilities on site above Eliason Harbor. In 2016, Sitka became the 4th Alaska Clean Harbor. To become a certified Alaska Clean Harbor, a facility must implement best management practices that help to prevent pollution and reduce waste at their facility. They must be pro-active in communicating with their customers and dedicated to providing services and assistance to their staff and boaters to protect water quality. We know that drips and spills will still happen, but through working with Alaska Clean Harbors, we believe that harbors, like Sitka, are making change and improving our water quality and the quality of our harbors. $3.14 per foot per month of vessel length or stall length (whichever is greater) i.e. 43’ vessel assigned 45’ stall, will be billed at the stall length or a 45’vessel in a 40’ stall will be billed at the vessel length. 25% discount on daily rate Fishing Vessels and Tenders. Contact the Harbor Dept. for details. FLOAT PLANE DOCK IS NOT USE-ABLE AT THIS TIME AND IS CLOSED. Live-aboard Vessels that have permanent moorage or are hot berthed will pay the minimum residential user’s fees for garbage, water, and sewer on a monthly basis if power is put in the owner's name. 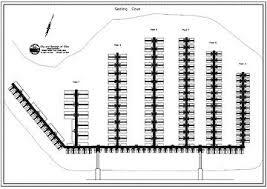 Eliason Harbor end ties $2.89 a foot per day per vessel length or stall length whichever is greater. O’Connell Bridge tender dock; $5.25 a foot per day, when available. Click on harbor image to get more details.